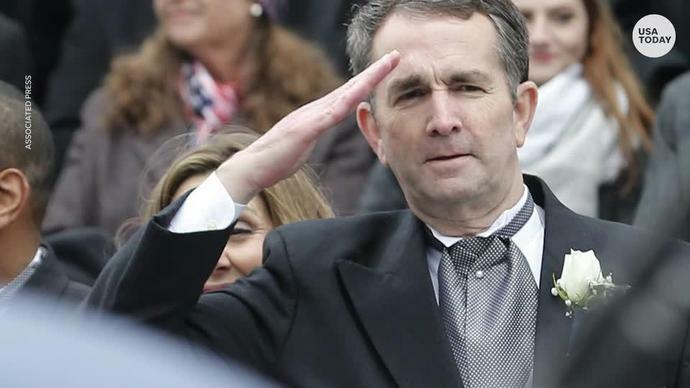 A tumultuous week in Virginia politics is expected to roll into the weekend as the calls for Lt. Gov. Justin Fairfax to resign his position are still coming in after a second sexual assault claim against him came to light Friday. Meredith Watson said in a statement Fairfax raped her while they were college students in 2000. The accusation follows a previous claim by Vanessa Tyson who says Fairfax assaulted her in 2004. Democratic presidential candidates Elizabeth Warren, Kamala Harris, Cory Booker and Kirsten Gillibrand have already called for Fairfax's resignation. The claims cap off a week of tumult in Virginia politics as the state's top three Democrats have been embroiled in controversy. The state's governor and attorney general have both admitted to wearing blackface in the 1980s but have rejected calls for them to resign. In a statement, Fairfax called the second allegation "demonstrably false" and said he will not resign. Klobuchar to announce 2020 decision? Amy Klobuchar, the three-term senator from Minnesota, is widely expected to join the 2020 presidential race at a rally in Minneapolis on Sunday. Earlier last week, Klobuchar teased an announcement on "The Rachel Maddow Show" on MSNBC. She joins an already crowded field of Democrats vying to represent their party in the 2020 presidential election. The moderate Klobuchar may face a tall task as she seeks to differentiate herself from other Democratic senators Cory Booker, Kamela Harris, Elizabeth Warren and Kristen Gillibrand. Other potential candidates Joe Biden and Beto O'Rourke are expected to announce a decision soon. Music's biggest night is here! This year's Grammys are poised to be the most competitive yet with the expansion of the night's four biggest contests - album, song and record of the year as well as best new artist - from five nominees to eight. With no clear frontrunner in any category, expect plenty of surprises. The Recording Academy also claims to have made greater efforts this year to diversify its voting body of roughly 12,000, reaching out to women and people of color specifically about becoming new members while requiring longtime members to re-qualify based on recent work. The memorable night will be highlighted with performances by Janelle Monáe, Kacey Musgraves, Brandi Carlile, Shawn Mendes, Camila Cabello, Cardi B, Dan + Shay, Post Malone and more. Here are USA TODAY's predictions on who will take home the gold, who to watch and how to prepare for the show Sunday. On the heels of the lowest scoring Super Bowl ever, a new professional football league promising "real football by real football guys" is set to launch this weekend. The Alliance of American Football has familiar names from the NFL in league front office positions, like former Steelers wide receiver Hines Ward and strong safety Troy Polamalu as heads of football development and player relations, respectively. The fledgling league hopes to capitalize on the gradual legalization of sports gambling by allowing fans to place bets in realtime on the league-owned mobile app. Seattle is bracing for "brutal winter weather" this weekend as the second storm in the same week rolls into the region. "This February in Seattle is going to be remembered for brutal winter weather for many folks not used to it," said Weather.us meteorologist Ryan Maue. Officials say travel could be very difficult and that blowing snow could contribute to reduced visibility. The storm has already forced at least 200 flight cancellations, according to the Associated Press. Seattle averages less than an inch of snow each February, but the snow storm earlier this week already dumped three inches, and more is expected this weekend as residents hunker down. Wells Fargo said Friday the issue that caused some customers to have trouble seeing paychecks and direct deposits in their banking accounts was corrected. But the bank acknowledged in a news release there "may continue to be delays in mobile and online banking as customers check their balances." As a result of the issue, Wells Fargo said branches normally open Saturday will stay open an extra hour to serve customers. A South Florida man was arrested Friday after accused of threatening to kill several high-profile Democratic lawmakers, specifically citing his support for President Donald Trump and his disdain for Rep. Ilhan Omar in light of her comments about the 9/11 terror attacks.